Few Missouri towns are as bicycle friendly as Springfield. Bring your own bikes or pick them up at the hotel. This bike friendly town makes it easy. Plan a surprise with every detail from lodging, destinations and dining options. Or, simply jump on a bike and explore the Ozark Greenways. 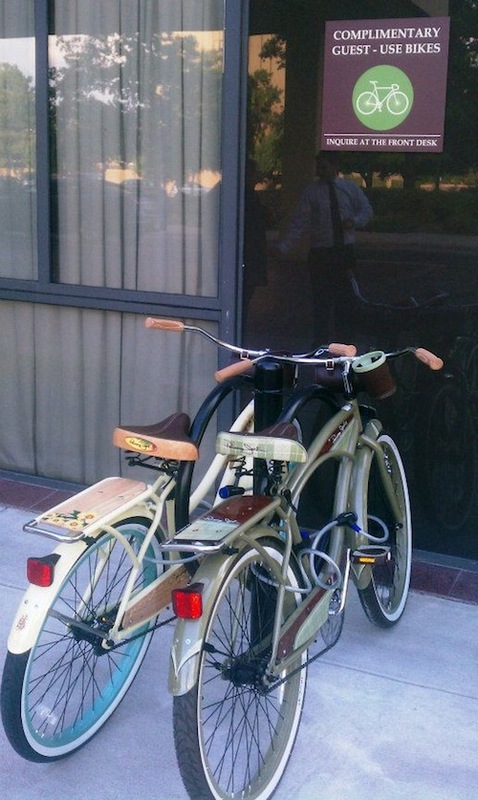 Complementary bicycles are available to University Plaza guests, The hotel had upgraded many of the services and packages recently. Photo: The University Plaza Hotel. 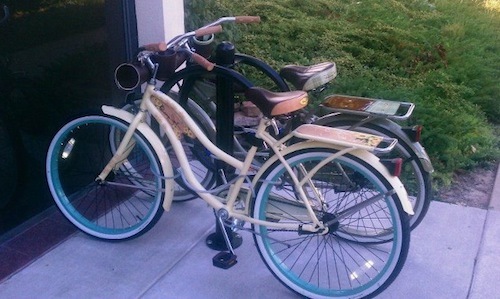 Stay – University Plaza Hotel offers bicycles for guests. The hotel is surrounded by great restaurants, lounges, coffee shops, art galleries, unique retail stores and theaters. Combine a special package deal with your bicycle excursion. More packages, accommodations and complete details are on the UP web site. Complimentary airport shuttle to the Springfield/Branson National Airport is available 7 days a week from 6 am to 11pm. Free high-speed Internet, parking, local phone calls and hot breakfast buffet served in the Terrace Grill. The details: The University Plaza Hotel and Convention Center Springfield, 333 South John Q Hammons Parkway Springfield, MO 65806 phone: (417) 864-7333. 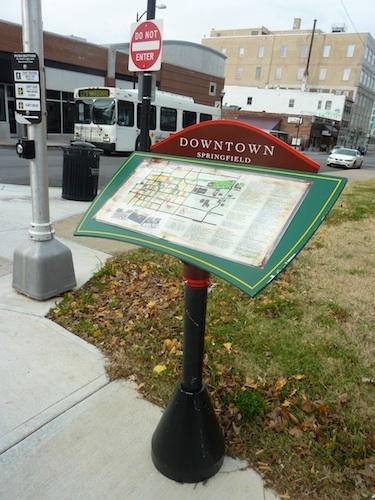 Located in downtown Springfield in the Jordan Valley Park area and near both Drury and Missouri State Universities. free for public use. All trails are ADA accessible with the exception of the Sac River Trail and the Volunteer Nature Trail. You are welcome to bring your dog, just remember to clean up after your dog and follow City ordinances related to leash rules, etc. Use this Trip planner, for example, start at University Plaza Hotel & Convention Center and ride to Park Central Square. The site maps your route in four different transportation modes: car, bus, walking or biking. Springfield is the only community in Missouri to receive recognition in the LAB’s program.The League of American Bicyclists (LAB) awarded Springfield, Missouri an “Honorable Mention” in the League’s Bicycle Friendly Community program. The LAB’s review of Springfield’s application is on their website. Reviewers were very impressed with a bicycle plan that outlines 110 miles of street with bike lanes or shared lane symbols. The Frisco Highline Trail will be a jewel in southern Missouri that will be second in the state to only the Katy Trail. The trail will be completed this summer. A Wilson’s Creek National Battlefield Bicycle Tour – is a 4.9 mile paved tour road. The self-guided Cell Phone Tour is great for bicyclers. There are eight tour stops that provide you with facts and fascinating stories of the Battle of Wilson’s Creek. The battlefield is open daily, except for Thanksgiving, Christmas Day and New Year’s Day. The Wilsons Creek National Battlefield visitor center hours are 8 a.m. to 5 p.m., seven days a week. Park (Tour Road) hours are 8 a.m. to 9 p.m., seven days a week. For walking, biking, or jogging, stay inside the six-foot-wide lane that is specifically marked for those activities. Take water and wear a hat, sturdy shoes and protective clothing. 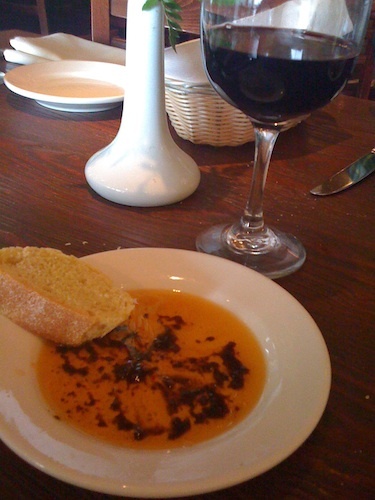 Eat – Bruno’s, 416 South Ave. Springfield, MO 65806 (Downtown) phone:417-866-0007 Authentic Italian food with a good wine selection. Service is excellent. Ask the waiter for a recommendation. He’s always right. I can’t recommend one thing, because everything I’ve ordered at Bruno’s is good. Start with the tomatoey dipping sauce and fresh baked bread. The pasta is always al dente, they serve some of the best risotto, pizza comes straight from the brick oven, good wine is affordable here. 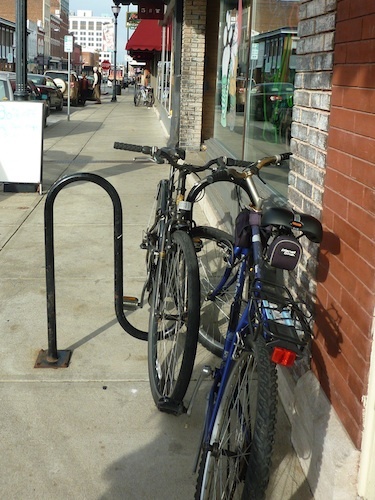 Bicyclists have handy parking right on the sidewalk. A good First Friday choice. Sleeping with the fishes in pet friendly Springfield MO Missing your pet? With the complimentary goldfish service, a goldfish will be delivered to your room by hotel staff who will also feed your fish..
Bruno’s for Italian in Springfield MO – Looking for authentic brick oven pizza? Brunos has a good Italian pizza. It’s big enough to share, but you may not want to. 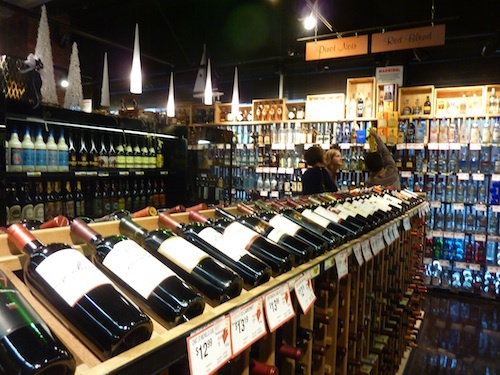 Traveling gourmet – Just want a bottle of wine for later? Bistro Market is located in a historic building at 401 South Avenue on the corner of South Avenue and Walnut, Springfield, MO.